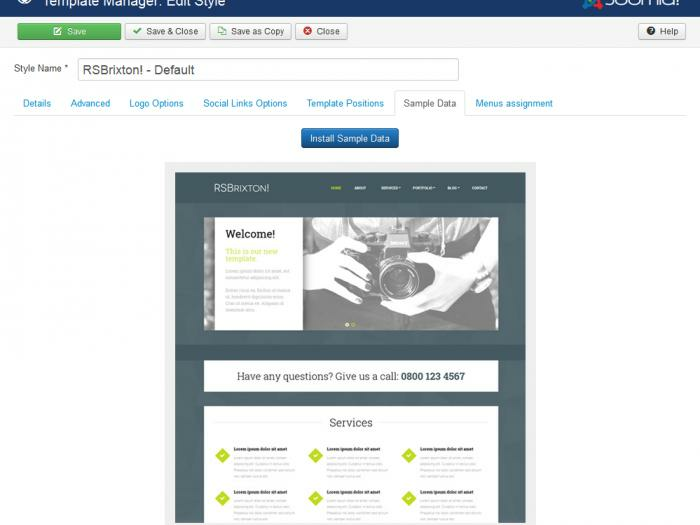 You can now access RSBrixton! 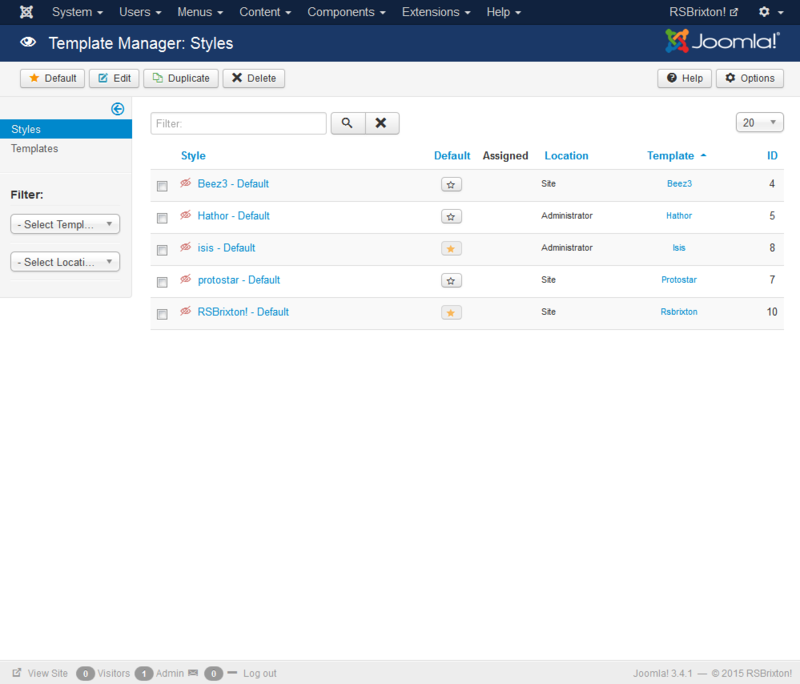 through the Template Manager. RSBrixton! also offers the possibility (optional) to install some sample data to get you started. 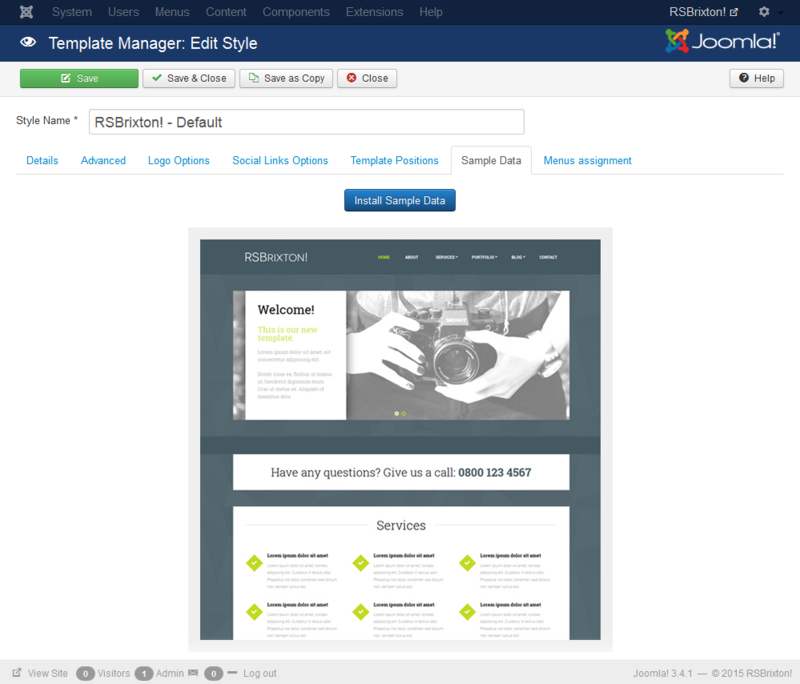 After installing the template as described above, please head to Extensions >> Template Manager >> edit RSBrixton! >> Sample Data tab and click on Install Sample Data. In order to set RSBrixton! 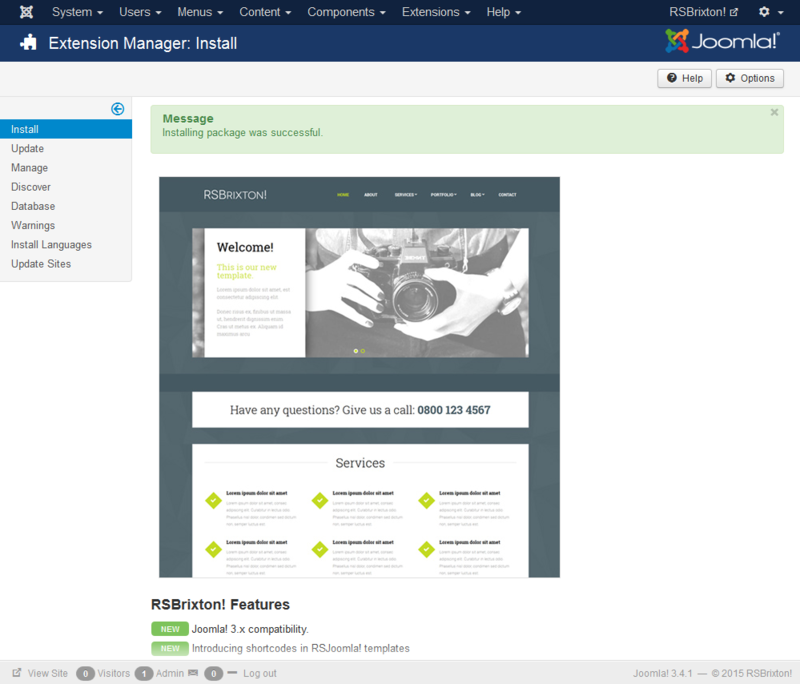 as the default template for your front-end, head over to Template Manager (Extensions > Template Manager), check RSBrixton! and click Default (or simply click the star icon).